One bride, One shape, One unique dress. No matter your body shape and size, whether you’re tall, skinny, curvy or petite, the Pronovias collection has been created to fit you. As a bride, we know that one size does not fit all. 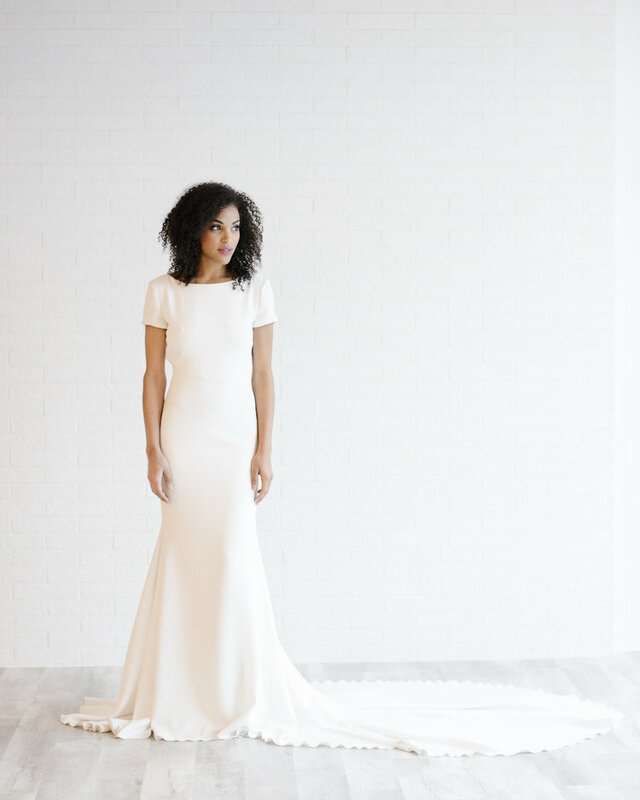 So, the wedding gown of your dreams should have the perfect fit for your silhouette, shape, and size – right? When you choose a Pronovias gown from one of our Calgary or Edmonton Bridal Boutique shops – that is precisely what you can expect while trying to find your dream wedding dress. Whether you are a size 10, petite, curvy, tall, or skinny, the Pronovias collection will have a fit just for you. We have a vast selection of Pronovias sheaths, ball gowns, a-lines, columns, and mermaid dresses to suit every body type. It is, globally, the leading wedding fashion house with the most diverse bridal collection. Headquartered from Barcelona; the Pronovias brand has collections in over 105 countries for the last 50 years. The wide range of wedding gowns from Pronovias is carefully curated and masterfully crafted with the utmost attention to details during the construction process. The brand is well-known and chosen regularly by our brides that are looking for a gorgeous gown for her big day. Elegance and worldly sensuality is the essence of a Pronovias gown with its heavy Spanish and European influences. Each design is created by a fashion-forward team that is known for their haute couture wedding creations and bold designs for the modern bride. The brand has been a trendsetter in the wedding industry since 1964, and it is well respected for the most distinctive and fashionable wedding styles to grace the bridal fashion industry. So, whether you are into laces, ruffles of feathers, extravagant designs, or a demure and classic look, Pronovias will have a dress that may be just right for you at The Bridal Boutique in Calgary and Edmonton. Check us out – you will for sure find something that will leave you astounded.